Did you know that March was named for the Roman God "Mars?" We all know that March 17th is St. Patrick's Day, but how about March 3rd as Peach Blossom Day? Or that March 24th is National Chocolate Covered Raisin Day? You better believe I'm celebrating that one this year. For another reason to be excited about the new month, Arby's has decided that March is all about the Reuben sandwich. Seems like a good reason to celebrate, doesn't it? It all starts with freshly carved corned beef, which is then carefully topped off with melted Swiss cheese, tangy sauerkraut, creamy Thousand Island dressing and served on toasty marble rye bread, just for you. Hungry, yet? In honor of their delicious Reuben, Arby's has issued their "Reubenville Challenge" daring cities across the country to dethrone New York City as The Reuben Sandwich Capital. This unique challenge invites U.S. cities to issue an official city council proclamation declaring the renaming of their city to "Reubenville" for the month of March, and the name change must be documented on the city limits sign. The first city to complete Arby's "Reubenville Challenge" will receive up to 5,000 coupons for complimentary Arby's Reuben sandwiches for their citizens. 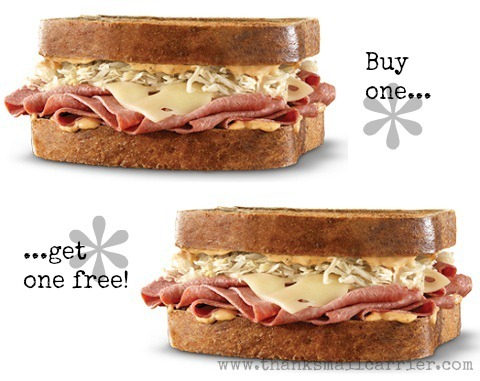 Whether or not the challenge is met, everyone can enjoy a deal on a tasty Reuben thanks to Arby's buy one, get one free deal on the Classic Reuben sandwich from March 15-17, 2013. That's right, beginning March 11th, you can download the buy one, get one free Classic Reuben sandwich coupon at Arbys.com. As the second largest quick-service sandwich chain in the U.S. with more than 3,400 restaurants system-wide, it is much easier for the majority of us to head to our local Arby's instead of NYC when we are hankering for a fresh Reuben (with a side of curly fries, perhaps? Mmmm). To find out more information and to view the official rules for the "Reubenville Challenge," visit Arbys.com/Reubenville (official documentation must be sent in by March 31st). Be sure to take advantage of this fun challenge in your Reuben-loving city, as well as the Buy One Get One Free deal for fans nationwide! Two lucky people will win a $10 gift card to Arby's! A big thank you to Arby's for providing a gift card for me as well as for two lucky giveaway winners. The opinions shared are my own and honest and if you really need to see more, click here to see how I roll. I love the regular roast beef. The French Dip (w/ Swiss), though that 3 cheese bacon angus is also yummy! I like veggie sandwiches. 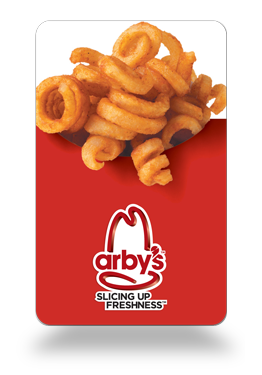 Love curly fries at Arby's though! I like the regular roast beef with some Arby's sauce. I like the chicken sandwiches! My favorite sandwich from Arby's is the Chicken Salad. When they had the BOGO coupon for that a couple of years ago, we ate there 2x in a week. My Nana's favorite sandwich was a Reuben and my husband likes them, too. My favorite is bacon, lettuce and tomato! I like their roast beef and cheddar with waffle fires! My favorite type of sandwich is the BLT. I love the classic roast beef! favorite sandwich is turkey, mayo, and lettuce. I'm a ham and cheese lover. Chicken Salad with Tomato and Lettuce and lots of Mayo. Love the Green Giant Vegetable Chips. I have not tried this brand, but they look healthier than the ones I have tries. These have at least 30% less fat than the other chips I have tried. What a great way to get kids to enjoy their veggies! Swiss Bacon & Mushroom Cheeseburger! Roast beef n cheddar is my fav. A Ruben is sounding really good right now! My favorite is the good ole' Jr Roast beef! I love the roast beef max! At Arby's I'm loyal to a good ol' regular roast beef sandwich. Other places I'm likely to get a chicken sandwich of some sort. Home made I'll go for a good ham n cheese with some mayo. Roast beef with arby's sauce and horsey sauce on it. I love the regular roast beef! I love the beef and cheddar sandwiches! I like the Beef and Cheddars. I like the classic roast beef sandwich. I love the Beef and Cheddar sandwich! Thanks so much for the fantastic giveaway! I like their roast beef and cheddar. Roast beef and cheddar for sure, even though that cheddar is probably not healthy in the slightest! I am a fan of italian beef sandwiches! I love a good avocado, tomato and bacon! Thanks for the giveaway! I love the Beef and Cheddar sandwiches. Well my favorite sandwich in general is the Reuben but I've never tried Arby's--would love to!! Favorite Arby's sandwich is the Beef & Cheddar :) yummy .. & I also love their cherry turnovers ..
My favorite is the Cravin Chicken Sandwich. I love turkey and avocado sandwhiches. I love a nice grilled Turkey and Swiss sandwich. Thanks so much for hosting this great giveaway! I like tuna salad sandwich. reubens most definitely. also chicken salad on a sandwich! reuben (and anything with bacon)!!! I love turkey with tomato, lettuce and mustard. I love the roast beef sandwiches, best in town. I like the beef and cheddar sandwich. Mine is toasted cheese & ham with sliced apples. I like the beef dip! I love a sandwich with some pepper turkey and TONS of veggies! I love it so big I can hardly bite it! Chicken salad with nuts and grapes. I love thick deli sandwiches such as corned beef or roast beef. My favorite type of hot sandwich is a Reuben, with a ton of pastrami on jewish rye bread. I like peanut butter and jelly! From Arby's? It was their Beef + Cheddar but I'm trying to eat healthier so I'd have to make a new choice next time I'm there. I like roast beef with horseradish sauce on it. I love their roast beef sandwich! No one else comes close! I love cheeseburgers with extra onions. My favorite are turkey clubs. Love the classic roast beef. My favorite is tuna salad with provolone on rye. My favorite sandwich is turkey and avocado. I love grilled chicken sandwiches. 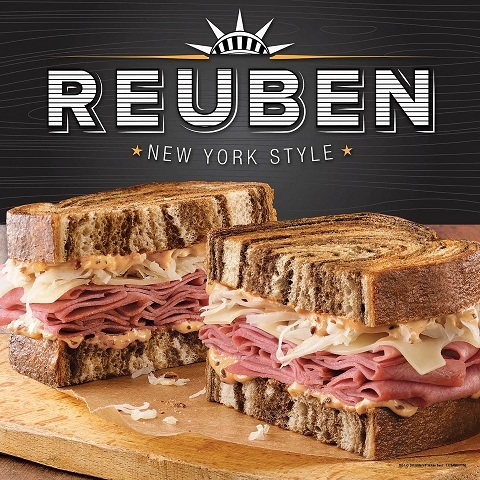 I like a good turkey sandwich (with lettuce, cranberry sauce, and havarti cheese), but I LOVE Reubens. I've always loved the classic Arby's sandwich - nobody else cuts their meat so wonderfully thin! I love the Roast Beef Deluxe but they don't have it anymore so sometimes I just order RB with lettuce and mayo. I love BLTs or any sandwich with chicken! I like regular roast beef sandwich, yum! My favorite is a Reuben! My favorite sandwich is a grilled cheese. I love mozzarella, basil, and tomatoes! My husband would love this gift card. It would be a treat for him since we try to save on lunches.